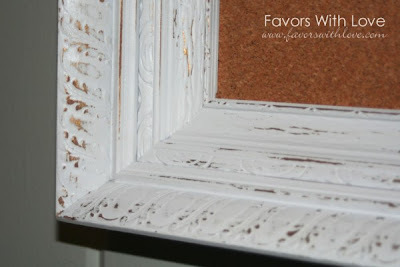 Cap Creations: DIY - Pretty Cork Board on a budget! 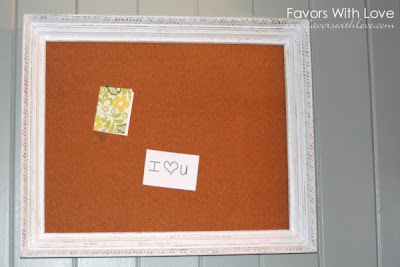 DIY - Pretty Cork Board on a budget! I picked up this old framed picture at a local thrift store for 4 bucks! The picture itself had a hole in it and there was no glass. But that was fine because I was only interested in the frame. Next I found the cork board at a church rummage sale for only $3. 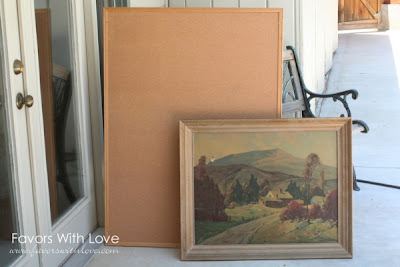 Both the frame and the cork board were in excellent condition! .......I got out the sand paper and scuffed it up! Isn't it pretty! I just can't stop looking at it here in my office! And it is fairly large at about 32 x 26 inches. And very practical! I still have enough cork board to make another! Yay!!! This is beautiful. Love the size.